Widely cultivated in the Indonesian archipelago and common in Bali and Lombok, the fare (pronounced far-ah) is a sometimes bitter fruit that can be prepared as a vegetable accompaniment to rice, millet or quinoa. 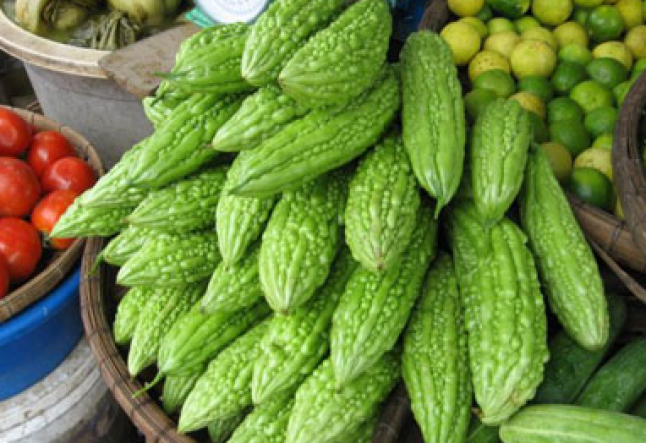 It has the appearance of a bright green, lumpy cucumber. Switch up your typical veggie side dish with this exotic find. An unusual ingredient is always a great conversation starter! Here is a simple, tasty recipe for a savory side dish. Wash and peel three or four fare fruits. On a chopping board, cut the fare into small slices. Add a little oil and cumin powder to a saucepan. Stir in the onion, ginger, tomato and masala mix. Sauté over medium heat. Add a little water, cover and simmer for a few minutes. Serve hot over a bed of grains of your choice.